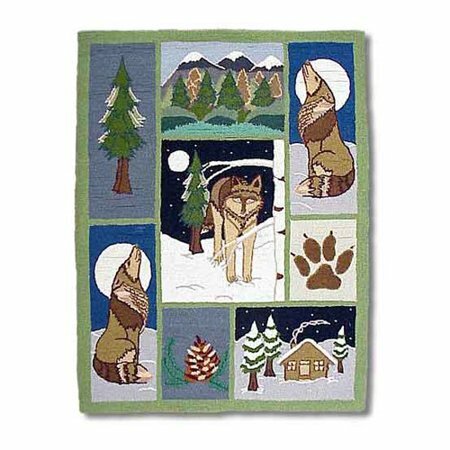 The Patch Magic Wolf rug has a patchwork design, with wolves, paw print, a pine forest and a log cabin, all in bright fun colors. Far from being scary, this wolf rug has cheerful colors and whimsical characters. Use your imagination on where it will go best in your home! 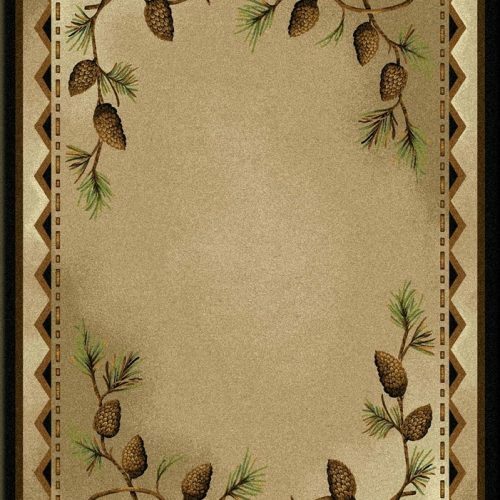 The rug sports pictures of a cozy log cabin, wolves in the moonlight, pine trees, mountains, and a wolf paw print. 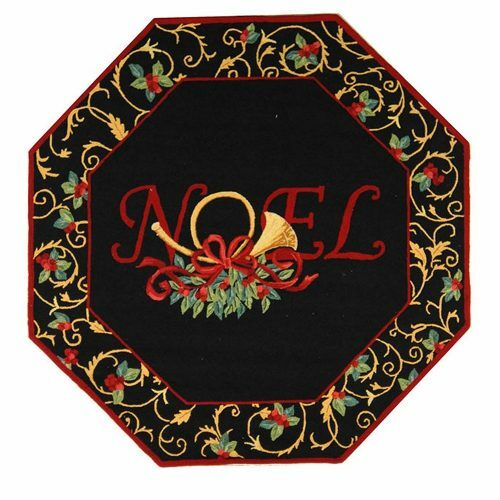 This quality Patch Magic area rug is handmade of 100% wool. 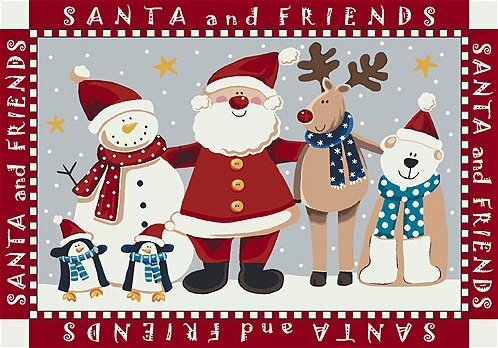 It can be spot cleaned or dry cleaned professionally. 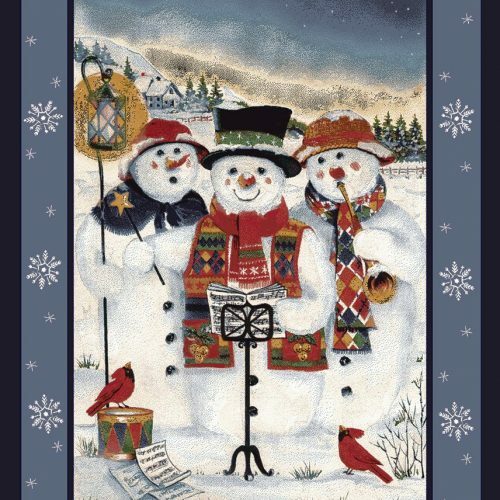 The rug measures 3′ 10″ x 5′ 1″. It is tough and durable and is rated for commercial use.